November 2-3 "Armed Movement"- This two day class focuses on both controlled and dynamic movement utilizing a pistol in a fight as well as working on one handed shooting to help with dynamic movement. Includes a section on movement and fighting on the ground as well. 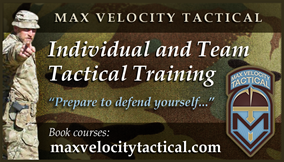 Limited to TEN participants so as to maximize instruction and range time for all. Optional "Pistol skills tune up" day on Friday- highly recommended if you haven't had any previous pistol training or if it's been a while. Directions to range, class specific equipment list, etc. will be emailed to all registrants.